American Airlines came out of bankruptcy today and merged with US Airways to form American Airlines Group Inc., according to American Airlines. While the news of the $17 billion merger finally being official is huge, changes for travelers will not be noticable right away. Members of the united American Airlines management team celebrated the news by ringing the bell at the Nasdaq stock exchange in New York Monday morning. The carrier stresses that the airlines will function independently for "quite some time" and there will be few immediate changes. You want a U.S. Airways flight, you will still book on the U.S. Airways website. Ticket counters will largely remain the same well into the first quarter. According to USA Today, Phoenix's Sky Harbor International Airport will be one of the first airports to roll out combined operations in mid-February. U.S. Air has long had a much greater presence in Phoenix, so American will take over U.S. Air's space in Terminal 4. However, American Airlines notes that it hopes to begin a benefits program on Jan. 7 that will allow passengers to earn and redeem miles on both carriers, as well as offering lounge access across both airlines. According to the release, there will be no impact on any existing reservations travelers have made, and their mileage and passenger status will remain intact. Michael Holtz, owner of travel company Smart Flyer in New York City, thinks the merger will be beneficial to travelers and the companies themselves. "I think it's going to be good for travelers, and it's going to make American Airlines a viable competitor to United Airlines and Delta Air Lines," Holtz said. Holtz also noted that he thinks the merger will help the smaller carriers like Alaska Airlines and JetBlue Airways. 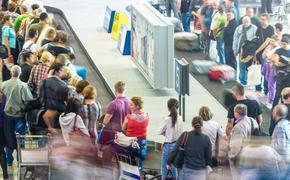 Henry Harteveldt, a travel industry analyst at Hudson Crossing in San Francisco, expects an improvement for travelers, as well. "For travelers, you'll get an anywhere-to-anywhere service," Harteveldt said. "You'll have a stronger alliance with greater reach." Harteveldt added, "Hopefully, it means the industry will be financially stronger," noting there will be just four major carriers in the United States now—Delta, American Airlines, Southwest and United. As for how the merger will affect travel agents, both Holtz and Harteveldt said that has yet to be determined. "Will agencies be treated with the respect they deserve?" Harteveldt questioned. 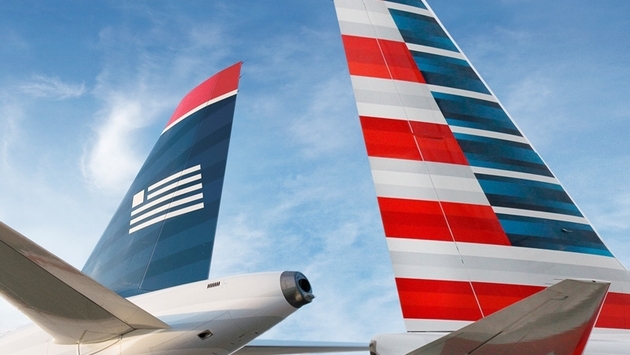 US Airways is expected to join up with the Oneworld alliance on March 31, 2014, at which point both airlines will work cohesively as one company. As a result, the alliance's global network will offer nearly 1,000 destinations in more than 150 countries, while serving 14,250 destinations. Clients will be able to earn and redeem miles through US Airways' Star Alliance until March 30, 2014, per US Airways. However, the carrier does plan to operate alongside certain airlines after March 30, which means clients will still be able to earn and redeem miles on these airlines. These airlines include: Aegean, Air China, Air New Zealand, Avianca, Ethiopian Airlines, Eva, Shenzhen Airlines, Singapore Airlines, South African Airways, TAM, TAP and Turkish Airways. US Airways notes there will be an expansion of East Coast, Central U.S. and West Coast destinations. An East Coast shuttle will also be added. According to US Airways, the official headquarters of the merger will be in Dallas-Forth Worth, Texas. The merger's hub presence will be in Phoenix, Ariz. The visible details will start to become clear over the coming months. Creating a single reservation system is among the most gargantuan changes. And then there's the painting of the planes. American introduced a new paint scheme early this year, but execs from the new combined operation have yet to decide how or when U.S. Airways planes will be repainted. We should start to see details on the little details that are important to travelers early next year: syncing of plane seating layouts, in-flight meal and drink service and the myriad fee policies are just some of the details that will need to be figured out.